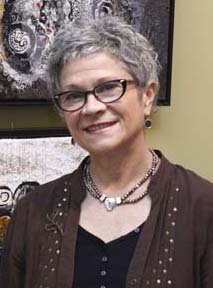 I am a full time professional textile artist who lives in Dundas, Ontario, Canada. I have been working in this medium for over 25 years. I also have a B.Sc. in Horticultural Science, and although it’s no longer my profession, it is a continuing source of inspiration. In my art, I am passionately interested in how science, art and nature interact with each other and with the human spirit. This synergy is the driving force behind all my imagery, representational or abstract. With this blog, I share my journey in art: ups and downs, joys big and small, projects, opinions and ideas. Connecting with kindred spirits is my goal. Walk along with me!